Original newspaper article: Frey, Bob. "This Tree House Tops All." 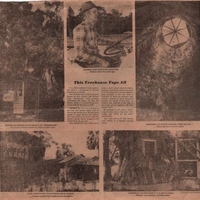 The Seminole Star: Private Collection of Sue Blackwood. Digital reproduction of original newspaper article: Frey, Bob. "This Tree House Tops All." The Seminole Star. Originally created by Bob Frey and published by The Seminole Star. Frey, Bob. 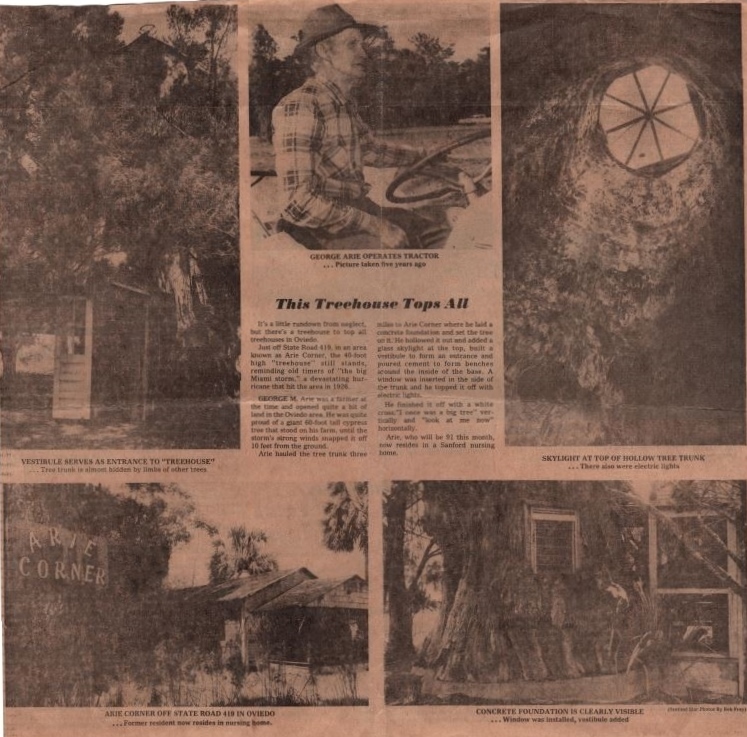 “This Tree House Tops All.” RICHES of Central Florida accessed April 19, 2019, https://richesmi.cah.ucf.edu/omeka/items/show/5209.